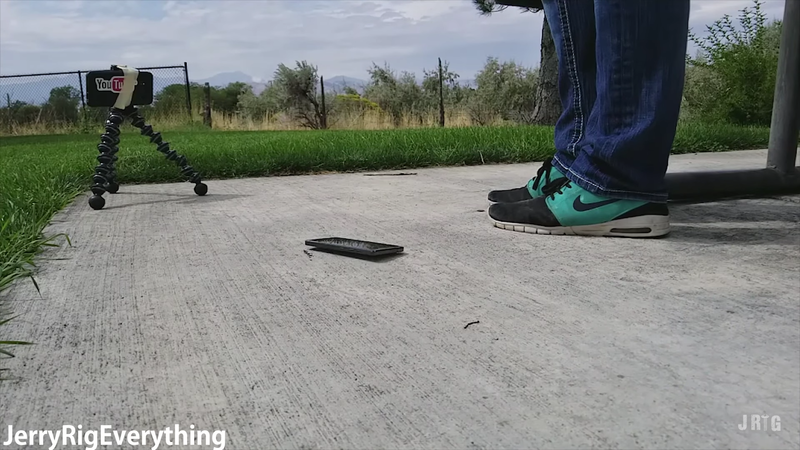 Using his Galaxy S8+ and Note8 as slow-motion cameras, Zack gets the fun going with a simple drop from sitting height. The phone lands flat on its screen, so while the back is unharmed, the screen shatters. Fortunately, the phone still works, but this was a bit surprising to see from the first (and least brutal) test. It's noted that the scratches in the screen can cause easier cracking, but the cracks here didn't appear to be a product of the scratches. The second and third drops don't do much more damage. The ceramic back, however, proves to be extremely strong. Even after the rebound renders the screen completely useless and causes glass chunks to fall out, the back remains relatively unscathed. At the end, Zack recommends Essential Phone owners get a glass screen protector, as this will allow what looks to be the weakest part of the phone to survive drops. A case is advised, too. Check out the embed above or the source link below to see the Essential Phone's drop test in full.